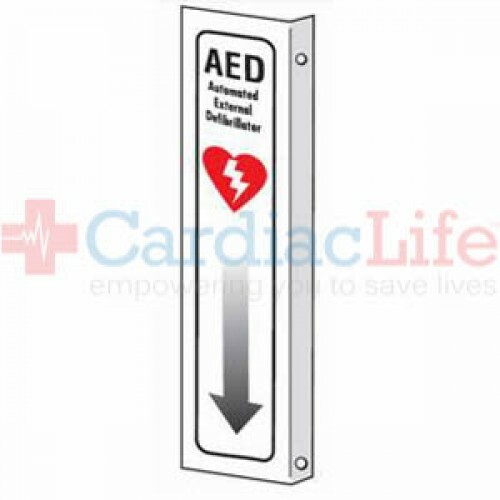 Let your first responders know where the AED is located with this AED sign. 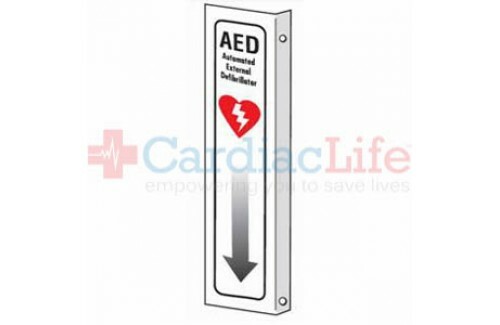 AED location sign with arrow allows for quick identification and location of critical emergency equipment. Face measures: 4 in. x 18 in.